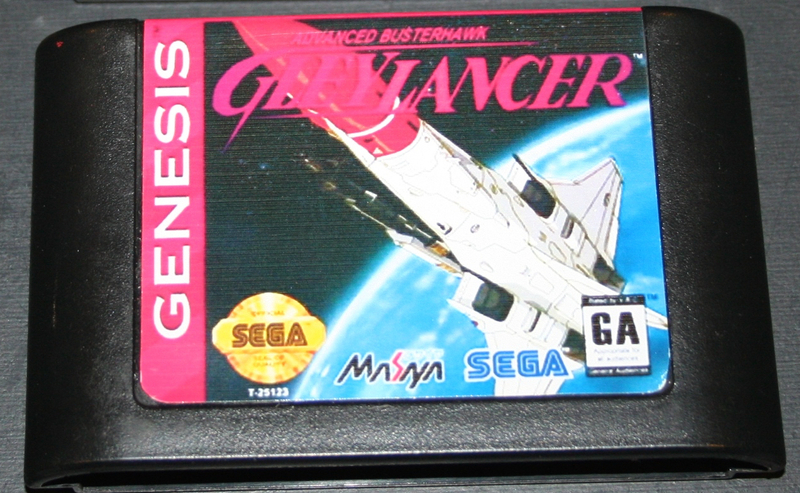 Advanced Busterhawk Gley Lancer (awesome name-no idea what it means) is one of the premier shoot'em ups for the Sega Mega Drive/Genesis. Unfortunately, the game was not released outside of Japan. You can play the game through emulators or reproduction carts (~$30). Or you can buy the original import game on eBay for about $600. I went with a reproduction. Whaaaatttt??? How would this even have 12 watchers on eBay?! Being a Japanese exclusive, the story text is in Japanese. Basically a teenage girls hijacks an experimental spacecraft to go to find her father, who is MIA. 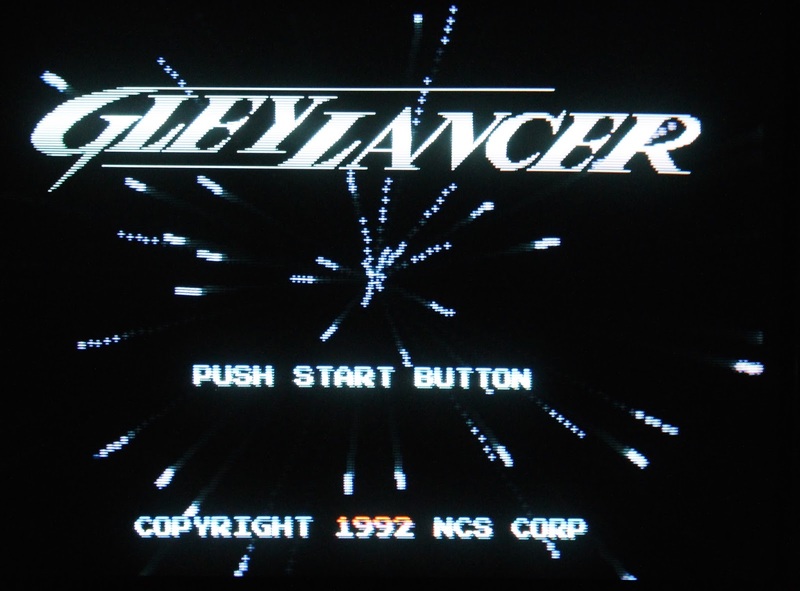 If you really want to read the text, you can download a translated rom online and play it on your Everdrive or emulator. The coolest feature is the ability to customize the control of your options (called gunners). 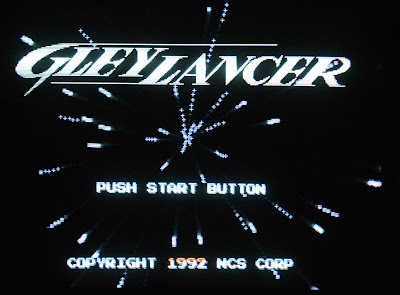 This is selected at the start of the game. 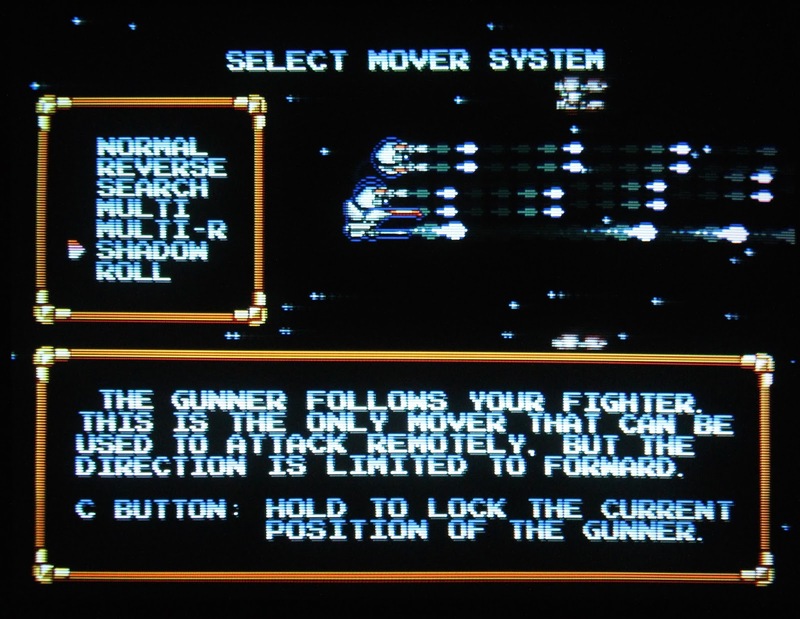 normal - The gunners follow you, as if on a string (similar to the options in Gradius). You can lock the gunners' position by holding the C button. This is very helpful, as you can keep the gunners in front of you to clear out pesky enemies in narrow passages before your ship is subject to fire. 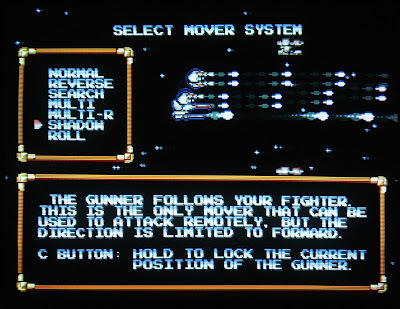 reverse - The gunners move in the opposite direction that you do. This is good for firing and retreating simultaneously, but not great for offensive tactics. search - The gunners will fire at the enemies on their own. The game actually tells you that this is not too reliable, probably because there is no prioritization of targets. multi - each gunner restricts its fire to its side of the ship, either topside or bottom. multi-r - The gunners are still restricted to 180˚, but the direction of fire is opposite to your movement. shadow - The gunners follow your ship closely, mimicking your movements, while firing forward. roll - The gunners constantly circle your ship, shooting in all directions. 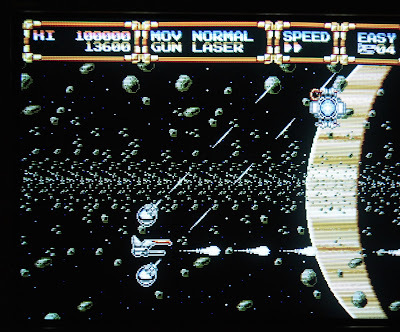 Controlling the gunner's direction of shot and maneuvering your ship is the challenge, and the fun. While logic would dictate that avoiding enemy fire is job number 1, you may get caught up in focusing your fire on a specific point, and lose track of the errant lone bullet. Lesson learned. This mechanic is what keeps me coming back. The gameplay is very smooth, with selectable speed settings, which are selectable while paused. This is a much appreciated detail, which is not common. If you die, you get sent back to a checkpoint. 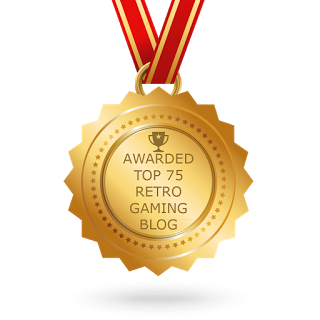 This is typical of the genre, especially in one-player games, but here it is not that bad. 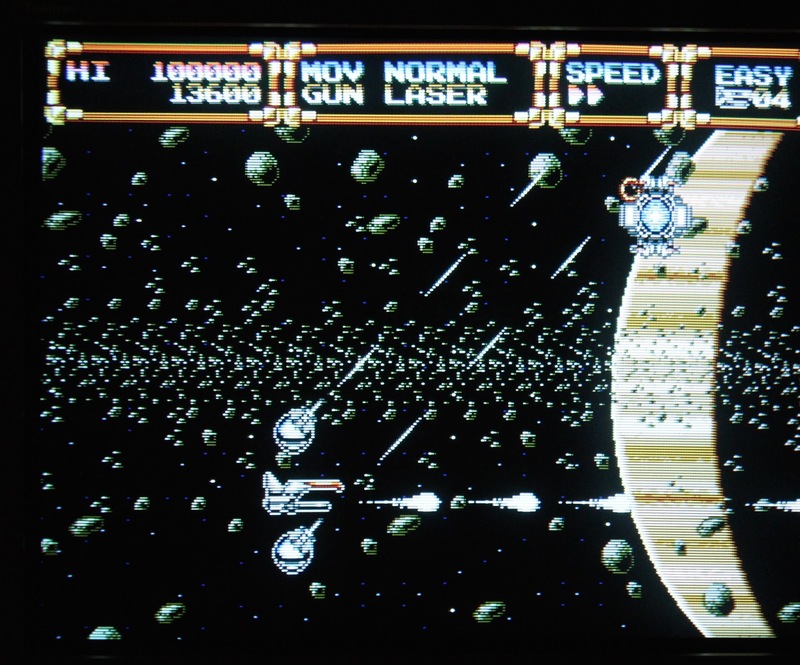 Checkpoints in some games can make the rest of the game nigh impossible (Gradius) as you cannot get powered-up sufficiently to match the difficulty of the remaining stage. Here, you will most likely get a weapon and a gunner before the end boss. The difficulty is a nudge above average, and progresses nicely. The visuals are clean and well designed. 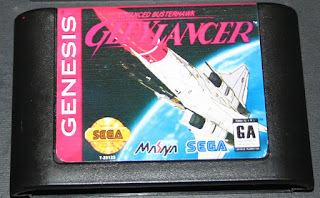 Even though the Genesis had a limited color palette in comparison to the other 16-bit consoles, this limitation often lends itself to crisp, clean sprites as shown here. Everything on screen pops with high contrast, but not in an obnoxious fashion. This game has parallax scrolling galore, which is always a good thing for space shooters (where the black background can bore). The stages are in very appealing, in general. This game has vocalizations at times, and while its a nice touch, the lines can be cheesy: "stick to it and believe yourself". The power ups that you collect are also vocalized. The voice sounds like its coming from a kid robot through a blown speaker. Still, its a nice touch. The music is better than average; not rocking the house like in Thunderforce III, but more melodic and enjoyable than most Genesis shooters. 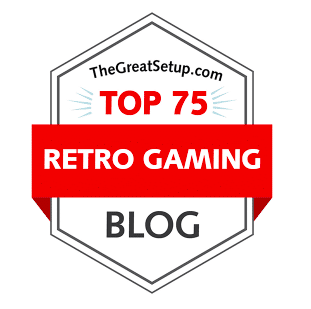 Overall, this is an excellent shooter that represents both the system and genre well. Any fan of either should play this game.